Subscribed for over 25 years. Used multiple songs and activities every single day. The best investment novice or sage can make. Love this publication! I have every issue from the past 27 years and can't wait for the new year. It's the best! I have every issue ever published! Love Music K-8! 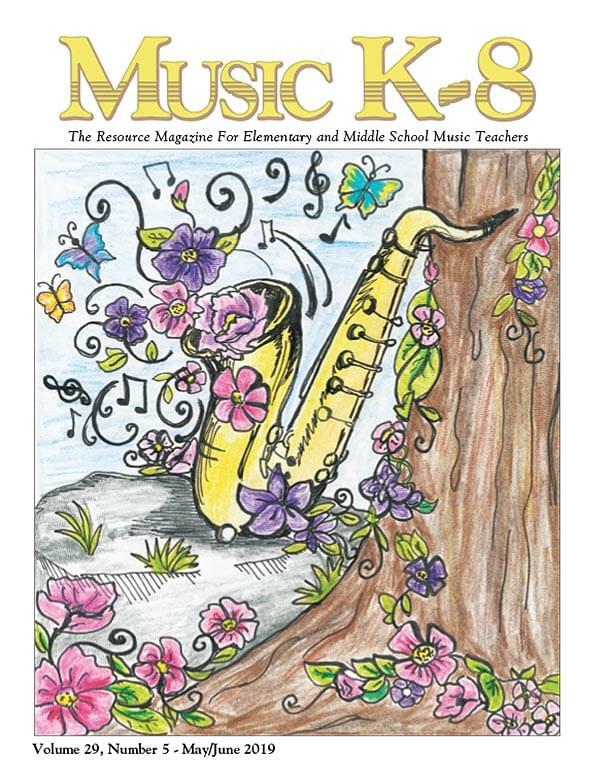 My students and I just love the songs from your magazine! I'm very happy that you have continued to give kids the songs that not only teach many different musical concepts or basic life manners or skills, but also are catchy and fun to sing and perform! I can’t wait to begin working with your music again. Your music is so stunningly beautiful, it boggles my mind. I love the music and the support of the [MusicK8.com’s] Mailing List. You make my job much easier! I don't know what I'd do without you! Receiving Music K-8 always brightens my day! Thank you for your creativity. You guys do such an amazing job! Thanks for continuing to be a phenomenal resource for music educators! I LOVE your magazine. You all are SOOOO creative! Thank you SO much! I've been using this company for years. And I think it's awesome! My kids have enjoyed every song in every issue [...of Volume 27]. First year they have come and asked specifically to sing. ... fantastic music! I LOVE @MusicK8Magazine. I can't imagine teaching (especially choir) without it. I've been doing Christmas musicals for over fifteen years, and [How To Train Your Reindeer To Fly] may have been the best one yet. I had 3rd graders who were SO talented at delivering the lines and following directions. That, along with a clever script and fun music, makes it an awesome show to do.